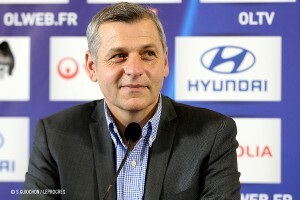 In the presence of president Jean-Michel Aulas, Bernard Lacombe, Florian Maurice and club doctor Emmanuel Orhant, Bruno Genesio was presented to the media on Monday, just before taking charge of his first training session as head coach of Olympique Lyonnais. "I am very honoured and proud to have accepted this challenge. 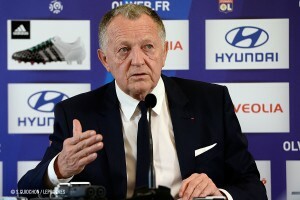 I thank Jean-Michel Aulas and Jérôme Seydoux for the confidence they have shown in me. We have worked very hard on how to turn things around. The club's sporting results deteriorated for a number of reasons. We had the feeling that several values had been forgotten. We need to get our enthusiasm back. My first decision was to take the team into camp for two and a half days, to work technically and tactically and also get some unity, solidarity back, that team spirit we have been lacking. We have shown this season that we are capable of moving mountains, like we did in the derby!" 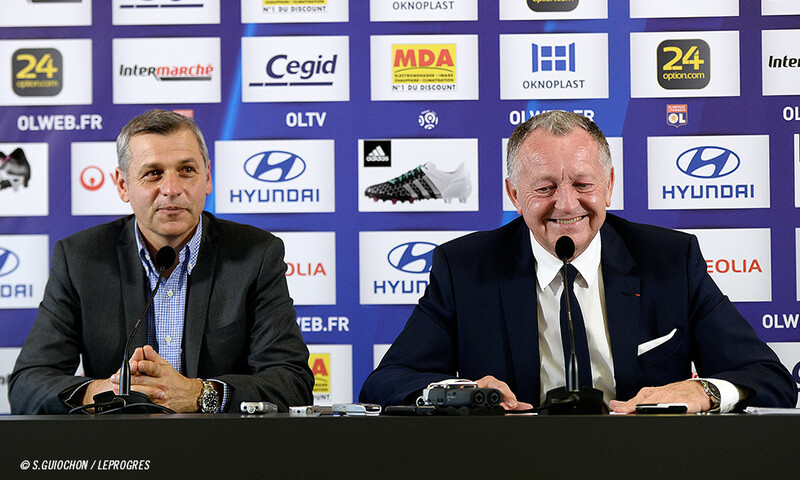 "Gérald Baticle will be my assistant coach. I also see Joël Bats as having an assistants' role. But we won't rush to make changes... I had a very honest and friendly discussion with Hubert Fournier in Ajaccio. We are on a short-term mission. We will work hard to reach our objectives. We will see where we are in mid-May, but I am planning for after June." "I do not like changing a coach in mid-season. We have very little time. The first half of the season was very difficult. This is only the second time in the last 19 years that we've had results like this. We had to make changes, without risking everything we have built. We have analysed the situation perfectly. We envisaged a number of solutions as well as maintaining Fournier. We also had this internal solution with Bruno. He has OL's DNA. He knows the club inside out. This is not a last choice scenario, we have made the choice we wanted. This isn't an emotional decision, it is a well-thought through result of analysis."